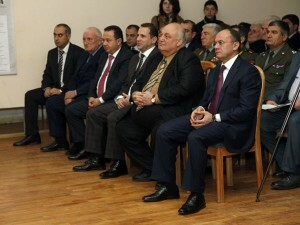 On the occasion of the 21st anniversary of the foundation of the RA Armed Forces, On January 26th Defense Minister Seyran Ohanyan met with YSU professors-teachers staff and students at the Yerevan State University. 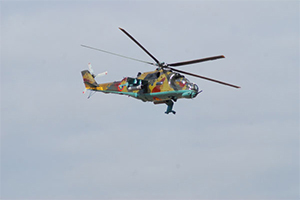 The Minister conducted “Lesson of Bravery” and mentioned that it is a big honour for him to be as a guest in the Alma Mater. 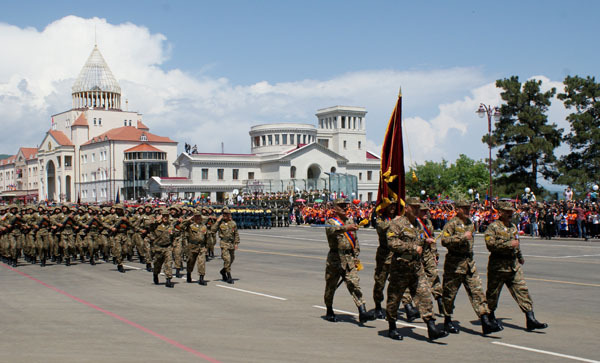 Finalizing the results of 2012 Mr.Ohanyan emphasized that the last year was significant for the Armed Forces in the sense of preparation and discipline. 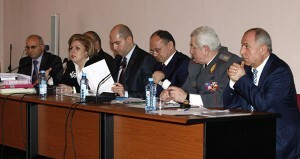 On January 26th the final meeting of Defense, Education & Science, Culture, Sports & Youth Affairs Ministries and RA Police on the results of the work in military-patriotic upbringing in 2012 was held at the Yerevan State University. 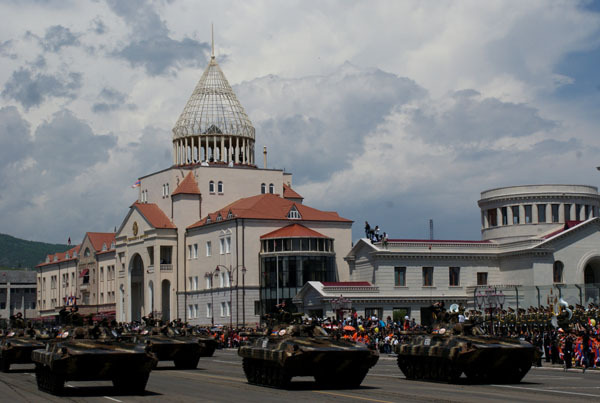 Ministers S.Ohanyan, A.Ashotyan, H.Poghosyan, Deputy Ministers, districts representatives as well as NKR Education & Science Minister S.Asryan were present. 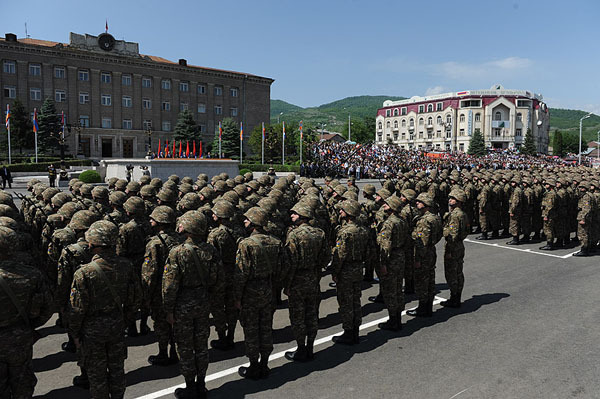 On the order of the Defense Minister in 2012, for the first time “The Best Regiment on Military Service Security Support” Competition was conducted. 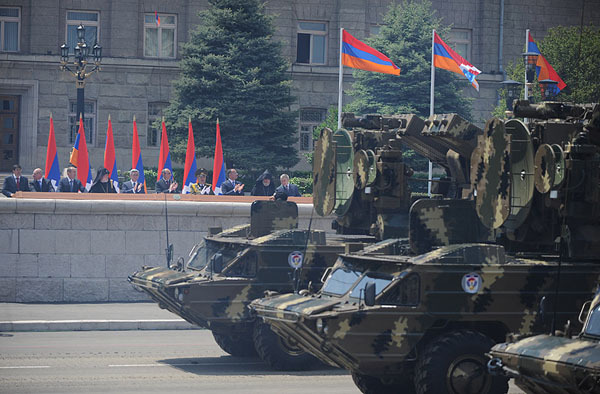 In assessing the MSSS activities success in defense of servicemen’s life and health, as well as efficiency of elimination of registered imperfections and blunders were considered. 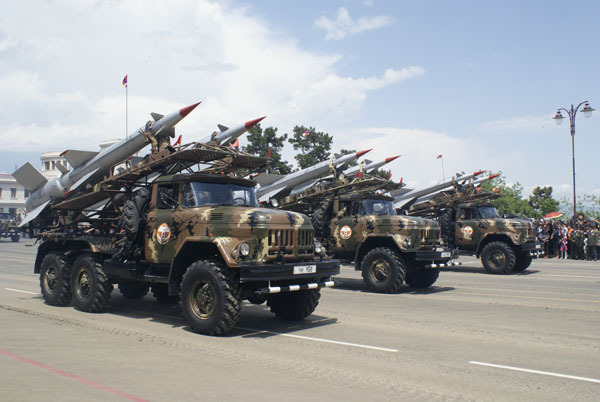 In this sphere MSSS permanent commissions of 12 regiments showed good results. 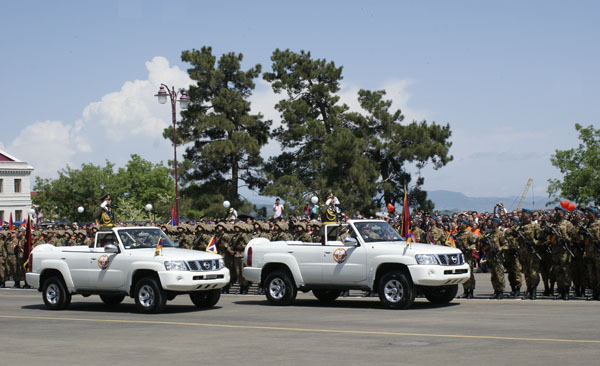 On the results of the competition as the best regiments were recognized: the regiments under the command of Colonel G.Sahakyan (1st place), Colonel A.Baghdasaryan (2nd place) and Colonel V.Hasratyan (3rd place).